Being raised by a single parent, homelessness was never far from our minds. The concept of family and home are so important to me that I volunteer with Habitat for Humanity. Their process is truly a hand up learning experience, not a hand out. While it is not a quick process, they help people make paradigm shift with changing lifestyle choices and teach them how to give back to their community. Giving back to my community as a volunteer, gives me the opportunity to colaborate for this program to be sustainable. I also volunteer with Realtor Foundation raising money for the homeless, and homeless prevention programs. Did you know that average age of homelessness in our area is 7 years old? For their, and our family’s future, we must support organizations that are experts in this area. 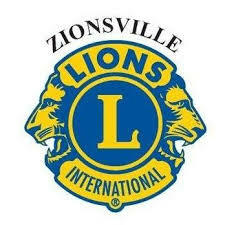 I also serve with those much older and wiser than me, at the Zionsville Lion’s Club. Just for the shear fun of it! Caring for the 18-acre park that serves so many families in the community and beyond. The funds raised during Women Build sponsor the land, infrastructure and materials needed for the home, as well as required homeowner education training. With your support we can continue to fulfill our mission of helping hard working, low income families here in Boone County. 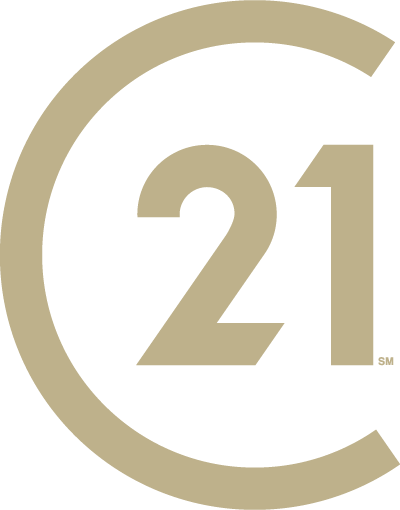 Our vision is that central Indiana’s homeless have access to safe and permanent housing solutions that positively change their lives. 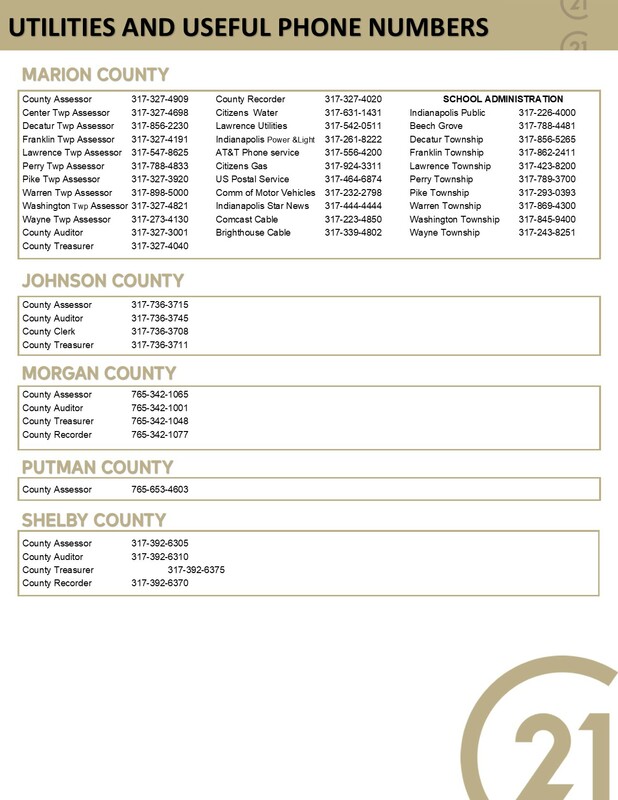 Since its founding, the REALTOR® Foundation has awarded grants that have helped central Indiana strengthen its communities. The Lions Club objectives are to create and foster a spirit of understanding among the peoples of the world; romote the principles of good government and good citizenship; take an active interest in the civic, cultural, social, and moral welfare of the community; unite the clubs in the bonds of the friendship, good fellowship, and mutual understanding. To Provide a forum for the open discussion of all matters of pubic interest; provided, however, that partisan politics and sectarian religion shall not be debated by club members; encourage service-minded people to serve their community without personal financial reward, and to encourage efficiency and promote high ethical standards in commerce, industry, professions, public works, and private endeavors. They believe kids in foster care need hope and encouragement. 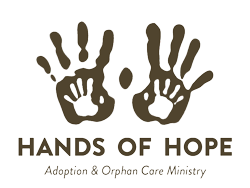 Hands of Hope is a bridge organization connecting faith communities, businesses, and individuals with practical opportunities to impact children in foster care in conjunction with Department of Child Services (DCS), Licensed Child Placement Agencies (LCPA’s), and foster parents. Members of my team volunteer their time, through their church’s partnership with the organization, to provide childcare while the parents attend to their training. I get no greater satisfaction than sharing the comments that past clients have been kind to take their time to write! Every referral is generated by third parties to keep it real. I take pride in the hard work and passion poured out to serve them all. It’s what makes me love my job! For some, I was part of moving along to the next episode of their lives. To others, an advocate in the quest to find THE home where they are enjoying their New Backyard! To all, I gave all the experience and knowledge I can offer, to make a less stressful process from beginning to end. My passion runs deep for defying mediocrity and delivering extraordinary experiences in everything I do. As an entrepreneur and business owner I come equipped with the knowledge, network, and experience to get us to the closing table. While the short-term goal is to sell your house or find your next home with the fewest amount of hassles to all, the long-term goal is to become your trusted real estate advisor. I aim to be the one that you would readily recommend to your friends, family, and peers. When selling your house, I go above and beyond the average agent. I hire a professional staging consultant. It provides sellers detailed recommendations for improving the value of their home. I also include professional photographer to leverage the value of your asset. All of this to no extra cost for you! I know they are all part of marketing plan, designed to attract the greatest number of buyers possible. When buying your next home, listening to your needs and wants, along with my experience and up to date knowledge, will help me guide you and advocate on your behalf to best match your dreams, with the homes available in the current market. As you work with me, you will find that I have and organization structure, and communication strategy that carefully supports sellers and buyers through the entire transactional process, and it continues to provide value beyond the transaction. I like to be on the forefront of knowledge and ideas and thus serve on Realtor Association’s Economic Development Council. Here I learn the value and understanding of what makes up a healthy thriving community, and share those ideas with others. I serve in my local area Division of Realtors. This gives me the opportunity to build relationships with other professionals. I learn from them, and collaborate on projects that help us to become better service providers. Being raised by a single parent, homelessness was never far from our minds. The concept of family and home are so important to me that I volunteer with Habitat for Humanity. Their process is truly a hand up learning experience, not a hand out. While it is not a quick process, they help people make paradigm shift with changing lifestyle choices and teach them how to give back to their community. Thanks to volunteers, this program is sustainable. I also serve with those much older and wiser than me, at the Zionsville Lion’s Club. Just for the shear fun of it! Caring for the 18-acre park that serves so many families in the community and beyond; a true piece of Americana. Then, there is my church. Traders Point Christian Church, reminds me every day that there is nothing more important than loving on others. As an Indianapolis native who’s lived most of my life in Northwest Indy, I am a full time Real Estate Professional. A wife of 25 years and a mother to four adults and their partners. You can rest assured that I will take care of your needs, as I would take care of my own family. Whether you are buying your next home, selling your house or just wanting to know more about the areas that I’m an expert on, I got you! 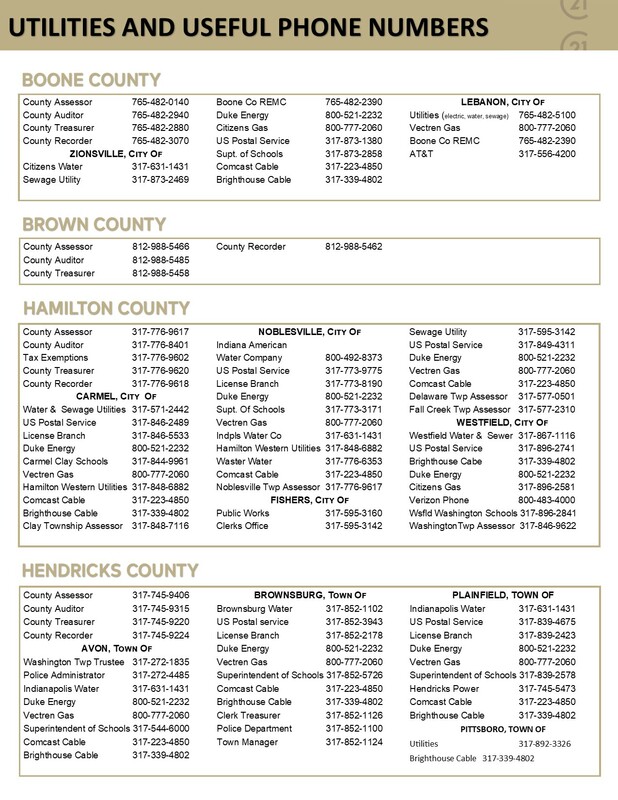 Here are some Important Phone Numbers divided by counties. Before putting a home on the market or listing with a real estate agent, savvy home sellers obtain a comparative market analysis, also referred to in the industry as a CMA. You’ve probably received direct mail letters or postcards from local real estate agents about CMAs. These pitches offer you a free report to tell you how much your home is worth. Sellers use a CMA to figure out home pricing. Active Listings. Active listings are homes currently for sale. These listings matter only to the extent that they are your competition for buyers. They are not indicative of market value because sellers can ask whatever they want for their home. It doesn’t mean any of the prices are realistic. The offered sales prices do not reflect market value until they sell, and in buyer’s markets, for example, most sell for a lot less. Pending Listings. Pending sale homes are formerly active listings that are under contract. They have not yet closed, so they are not yet a comparable sale. Unless the listing agent is willing to share information about the pending sale — and many are not — you will not know the actual sold price until the transaction closes. However, pending sales do indicate the direction the market is moving. If your home is priced above the list price of these pending sales, you could face longer DOM. Sold Listings. Homes that have closed within the past three months are your comparable sales. These are the sales an appraiser will use when appraising your home for the buyer, along with the pending sales (which will likely have closed by the time your home is sold). Look long and hard at the comparable sales because those are your market value. You can use 6 months of comps if there are not enough sales to produce a good report with three months. Seller’s remorse. The sellers decided they cannot part with their home and no longer want to sell. The DOM were too long. Agents sometimes withdraw listings so they can put them back as a new listing and entice more buyers. Repair requests. The homes were once under contract and after the home inspection, the buyer requested repairs which the seller refused. Seller fired the agent. It’s not uncommon for unhappy sellers to fire an agent and hire a new agent. Expired Listings This group will reflect the highest median sales price because they did not sell and were probably unreasonably priced. Some of the expired listings could also show up as an active listing, listed by a new agent at a new price. Listings also expire because they were not aggressively marketed or because the home was in need of repairs. Similar square footage Appraisers compare homes based on square footage. Larger square-foot homes are worth less per square foot than smaller square-foot homes. The variance among a group of median-priced homes ideally should not exceed more than a 10% to 20% variance in square feet, plus or minus. Similar age of construction Ideally, the age of the home — the year it was built — should be within a few years of other comparable sold homes. Mixed-age subdivisions are common. For example, in one area of Sacramento, a subdivision consists of homes built in the 1950s, and then they jump a couple decades to the 1970s. Although the homes are located next door to each other, the homes loaded with character from the 1950s sell for more than their newer Brady Bunch counterparts. If your home was built in 1980, say, and brand new homes up the street are selling for more, you cannot command the same price as a new home. Similar amenities, upgrades, and condition Appraisers will deduct value from your home if other homes have upgrades and yours does not. A home with a swimming pool will have a different value than a home without a pool. Pools aren’t worth as much as you think. A completely remodeled home is worth more than a fixer. Homes with one bath are worth less than homes with two or more baths. Deferred maintenance will count against you. Location Everybody knows that real estate is valued on “location, location, location,” but have you considered what that means? A home with a view of the city, for example, is worth more than a home facing a cement wall. Homes located on busy thoroughfares are worth considerably less than homes on quiet streets. Compare your home to those in similar locations. If your home sits across the street from a power plant, look for other homes with power plant exposure or those located along railroad tracks, among other undesirable locations. What do you know about this area? How many clients have you worked with this year? What is your average Days on Market? What is your average list to sales price ratio? What tools do you have especially for sellers? What areas do you primarily work? Will you be showing our home or will it be on a lockbox? How do you negotiate deals? Do you attend the home inspection? Do you handle the inspection negotiations? Do you attend the walk-through? Do you attend the Closing? How do you feel about dual agency? What qualities differentiate you from other Realtors? Step 1: Find a Realtor. Find Your Advocate. Many homeowners start the selling process by looking at sites such as Realtor.com, Zillow, Redfin or Trulia to see what similar properties have recently sold for in their neighborhood to determine the current value of their home. The sites aren’t 100% accurate as listings which were never listed in the BLC (Broker Listing Cooperative) such as pocket listings or For Sale By Owners will be missing. The information on the online sites is often out of date or not accurate as not every Realtor has to manually change their listing from Active to Sold in many of the online sites. Unfortunately, most Realtors are not good about updating this information regularly. Therefore, a property might show that it’s still Active on Zillow, even though it sold nine months prior. When professional appraisers conduct an appraisal, they only take into account homes that have sold in a particular neighborhood within the last 90 days. It’s not possible to sort the data by date on the online sites, so it’s difficult to only look for properties which have sold within the last 90 days. Many properties don’t list the square footage, so it’s hard to know if you’re comparing similarly sized homes, which makes a big difference when determining value. Therefore, step 1 to buying a home should be to interview Realtors to represent you and ask them to provide you with a CMA (comparable market analysis). How do you find a good Realtor? Hopefully, you’ll connect with me so we can see if we would be a good fit. Remember, not all Realtors are right for all people. You need to find someone who is not only great at his or her job but someone you like and trust as you’re putting a big piece of your financial future in their hands. Ask friends and family for referrals. Contact those Realtors and set up initial phone screenings with them. Notice how quickly each Realtor responds to your initial phone call or email. The Realtor should get back to you within 24 hours; if not, that’s a bad sign. This business moves fast, and deals can fall apart if your Realtor doesn’t respond quickly on your behalf to showing requests, offers, inspection negotiations, etc. During the initial phone screening, find out if the Realtor knows your neighborhood and if they’ve ever helped a client buy or sell property in your area. Ask about their experience. 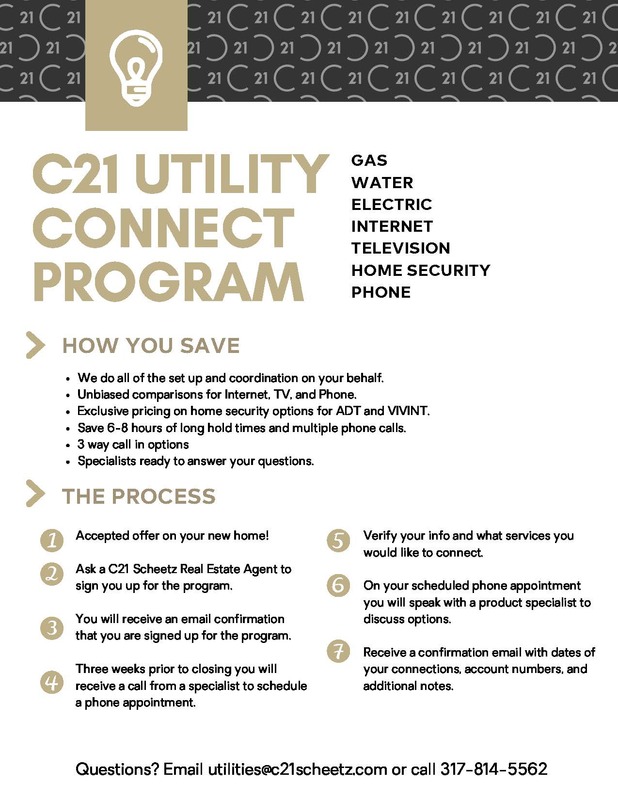 If your gut reaction says this person might be a good fit, ask them to do a CMA on your home and set up a time to meet with them in person. Be prepared for the Realtor to ask questions about your home, how much you owe on your mortgage and if any repairs are needed as they need this information to do an accurate CMA. When you meet with the Realtor in person, ask them our important questions to ask BEFORE hiring a Realtor. Go over the CMA, if he or she has one to show you. You will know what is that about, by reading ‘How to Use a CMA Comparative Market Analysis’. Ask them not only what they think your home is worth, but what the average days on the market is in your area, which is the number of days from when the house goes on the market until you have an accepted contract. If the Realtor doesn’t know this, move on. Ask them what they charge, how much the closing costs will be, and what approximately you’ll net will be if you sell your homer for X price. Most importantly, be honest with each Realtor. If you need to sell your home for a certain amount of money or in a specific time frame, tell them. Only when Realtors have a complete picture can they come up with the best strategy to fit your situation. Once you’ve picked a Realtor, expect to sign a Listing Contract authorizing that Realtor to represent you. That starts the ball rolling to get your home on the market. Step 2: You’ve Hired a Realtor. Now What? You’ve picked ME as your Realtor (Yey!). Selling your home involves a lot of paperwork. Review Listing Agreement and Disclosures for the information you’ll be asked. Did you peek at the Listing Agreement and Disclosures link? I know… that’s A LOT of paperwork, right? Don’t worry, you picked the right agent when you hired me. I will introduce you to a unique solution called dotloop. It is an online workspace that connects everyone and everything needed to complete a real estate transaction in one place. dotloop allows us to edit, complete, sign and share documents without ever needing to print, fax or email. It helps us eliminate the paperwork and to keep your transaction organized. We save all the documents there, and you will be able to see the process in action while I do the work. You will create an account and will be able to fill all of the forms needed, from the convenience of your phone, tablet or computer! You could also sign all of them in a secure and verified way. It will speed up the process of selling your house, by giving you instant access to any offer we will get, or any other document that will need your approval and signature. Write a top ten list of reasons you love living in your home. We don’t want these reasons to be things the buyers can easily see for themselves such as your gorgeous kitchen. Instead, we want them to be intangibles that only you know such as the beautiful sunsets visible through your living room windows, that you have great neighbors, the farmers market down the street every Tuesday, and the area is much quieter than you thought it would be, are examples of a Top 10 List. I will use this list in our marketing of your home, and it will be a good started for you to write a Letter to Future Buyer. We need about one week’s notice before we can put your property on the market. Before it goes on the market, you need to declutter your home, fix any items that need to be fixed, and either clean it or have your house professionally cleaned. If your home isn’t going on the market within 48 hours, we need you to fill out a BLC Exempt Disclosure, saying it’s acceptable for your home to go into the BLC at a later date. If you don’t fill out this form, I can be fined $1,000. We don’t want potential buyers Googling you learning that you just got a big promotion at work, are moving across the country or are buying a new house because you’re having a baby. All of these items can hurt my negotiation position; therefore, it’s imperative you change your security settings to make your posts and photos private to strangers. And while you can mention on your Facebook page that you’re selling your home, don’t say why. Once you’ve completed the above, let us know, and we’ll send you your next steps.